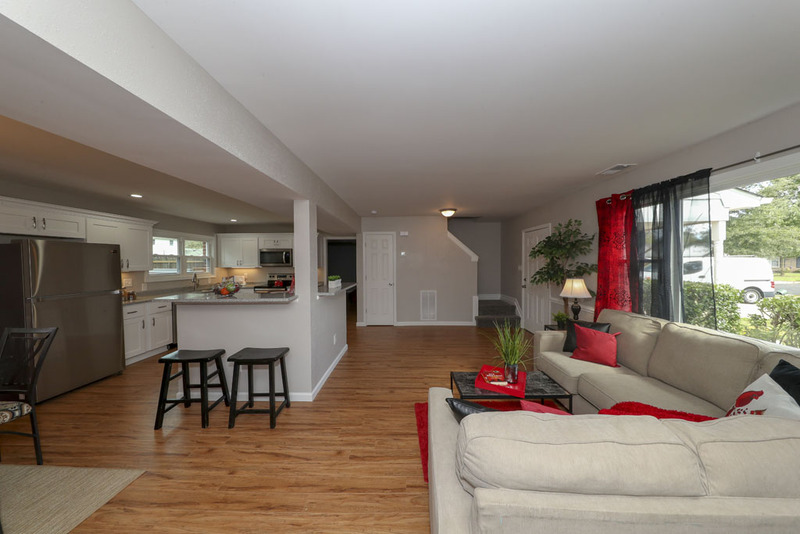 Stunning and skillfully remodel four bedroom house better than HGTV! Very spacious and well designed opened concept is sure to please everyone. Gourmet kitchen boasting granite countertops, SS appliances, recessed lighting and undermount cabinet lighting, designer soft closed cabinets. Splendid and just in time to entertain for your Holiday meals…. Master retreat with gorgeous bathroom including rain shower head with decorator tiles with dazzling accent pieces complemented by a state of the art frameless glass doors. Relax after a hard day of work in your family room displaying a cozy craftfully tiled fireplace. Huge private backyard and oversize deck, secluded from neighbors, perfect for summertime BBQ gatherings. Conveniently located near the interstates and shopping center.